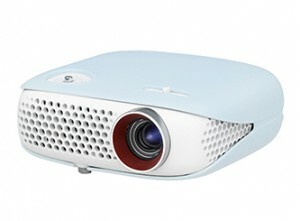 DLP projectors offer some of the best features for gaming. 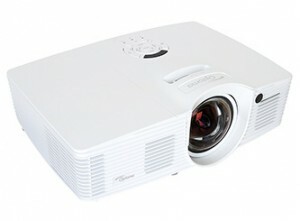 If you’re shopping for a new gaming projector then check out the newest line of DLP projectors. This is the same technology used in cinemas so these projectors handle high-resolution images we love in our gaming videos. 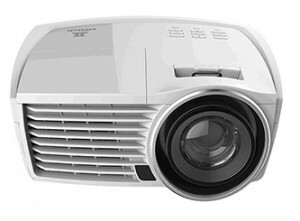 DLP projectors are also low maintenance especially when you purchase an authentic projector lamp. Designed for gaming, the Optoma GT1080 projector offers a bright image, 3D support and a 1080P resolution – perfect for any gaming system. Highlights of this projector include a short lag time, super bright image – probably the most important thing to consider for a game system. Need a big view? Create a super-sized 100-inch image with it only 39″ from the screen or wall and then turn it into a smart projector by connecting your smartphone or tablet using the Mobile High-Definition Link (MHL). The only downside is a slight tendency towards a rainbow artifact in its brightest mode. Price tag: $699 and up. 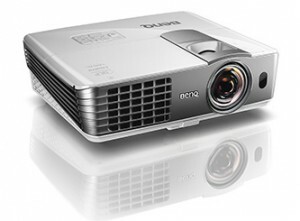 The BenQ HT1085ST is a short-low lens projector, which makes it a perfect choice for anyone who wants a big image in a small space. Since it can be close to the screen, the image won’t be interrupted every time someone stands up. It offers a top level of brightness that handles ambient light so also don’t need a completely dark room. The optional wireless full HD Kit lets you stream uncompressed, content wirelessly. With full 1080p resolution in 2D and 3D with a zoom lens and two HDMI connectors, one of which has Mobile High-Definition Link (MHL), this is a great projector for gaming. Price tag: $899 and up. For the gamer who travels the LG Compact Pebble Design Smart Minibeam Projector PW800 is a great option. Weighing 1.3 lbs and only 5.5″ by 2″, this lightweight projector comes with a built-in TV tuner. Plug and play means easy wireless mirroring of tablets, PC screens and smart phones without very little set-up. All you need is a great Wi-Fi connection. 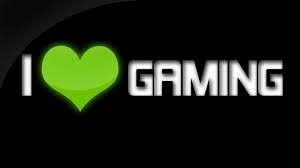 It gives you that big screen 720p HDTV experience without all the hassles so you can set up quickly and start gaming at your favorite location with your favorite team. It comes with two HDMI connectors, with one Mobile High-Definition Link (MHL) enabled and shows full 1080p whether in 2D or 3D mode. Price tag: $599 and up. If you need a projector that does double duty then consider the Vivitek H1186-WT. It has the necessary short-lag time needed to play most video games and can handle ambient light really well. It’s got a night viewing mode so that you can customize its setting for the room lighting and that flexibility means it’s great as either a gaming or home-theater projector. Two HDMI connectors, with one Mobile High-Definition Link (MHL) come fully enabled and it projects in full 1080p whether in in 2D or 3D. DLP® DarkChip3™ and BrilliantColor™ technologies ensure optimal black levels and vibrant colorful images. You will need speakers with this projector though. It just doesn’t deliver great sound. Price tag: $999 and up.